Sorry for our tardiness, but this week we have a Friday launch instead of a Thursday drop. We start the show with some real white people problems as Josh vents about his experience trying to buy a car. Next up, the boys discuss the meaning of the word “biffie” which will surprise you. 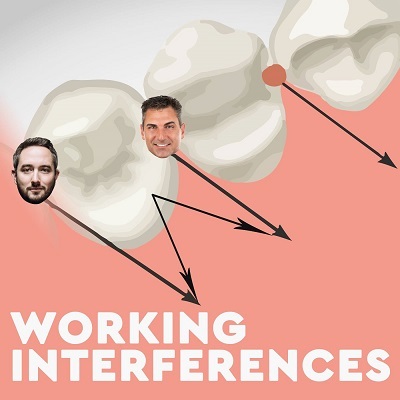 Advice starts this week with at dentist complaining about a patient’s entitlement…a recurring theme here on Working Interferences. Second question comes from a dental staff member being harassed. SKEEVY DENTIST WARNING!!!! Our Reddit question this week comes from a patient who had his dentist take his breathe away…literally. Celebrate the foreskin and see you at VOD!! !